KIRKLAND LAKE, Ont. 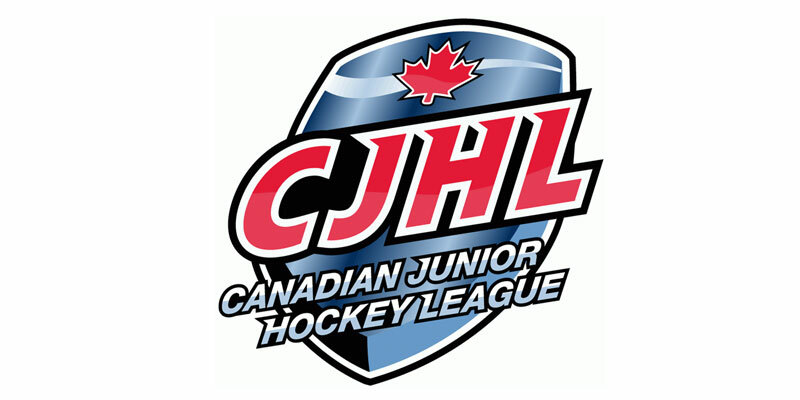 – The Kirkland Lake Gold Miners sprung out to a five-goal lead then had to withstand a comeback bid by the French River Rapids before eventually prevailing with a 5-4 victory Saturday in Northern Ontario Junior Hockey League action at Joe Mavrinac Community Complex. Having gone 6-1 in their past seven contests heading into this one, Kirkland Lake started strong once more snagging a 2-0 lead before the contest was 10 minutes old. It began with James Scott and Vinny DeSanctis combining to set-up newcomer Jordan Michaud as the defenceman scored in his NOJHL debut at 8:44. Kirkland Lake came right back and added another 75 seconds later to go up by a pair when Max Newnam buried his seventh of the season while running a consecutive game point streak to eight straight games in the process. A wild middle session saw tallies galore as first the Gold Miners picked up three to go up by five before the Rapids answered back with a quick four-goal outburst. Joshua Maine scored twice while Noah Cauchi added another to make it 5-0 for the hosts before the visitors exploded for four goals in a five-minute span to get them right back in it. Will Frustaglio at even strength and Levi Siau shorthanded notched the first two markers 49 seconds apart to make it a 5-2 game before teammate Connor Loft had one on the power play then another on the next shift to make it a one-goal game after two periods of play. Both clubs tightened up defensively from there as the remainder of the night was scoreless helping Kirkland Lake move into sole possession of second place in the NOJHL’s East Division as they improved to 7-2-0-0. Christian Snyder had three assists for the Gold Miners in the triumph while Philippe Daoust chipped in with a couple of helpers for the Rapids. Shots on goal favoured Kirkland Lake 38-36 with Dawson Rodin picking up the win. Kevin Donaghey started for French River and allowed three against on 16 shots in just under 23 minutes of work while Alex Allison suffered the loss in relief as he handled 22 of the 24 attempts fired his way.